The Galaxy Note 9 isn’t the only new Note phone we will see in 2018, as Honor has gone one better and announced the Honor Note 10. 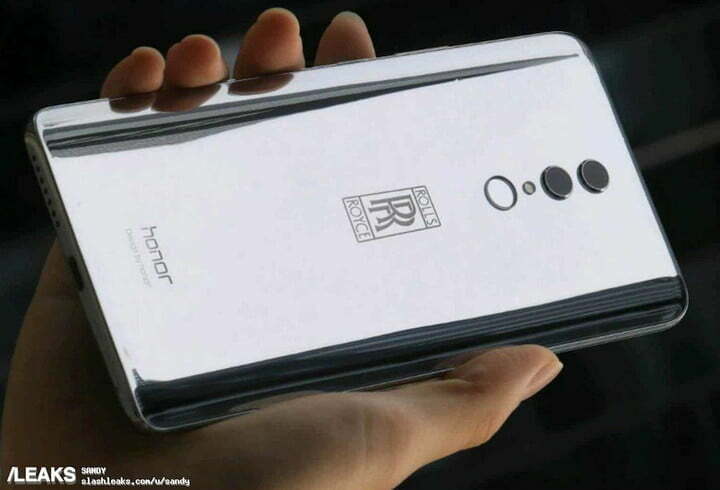 While it’s so far only for China, Honor often releases versions of these devices internationally at a later date, and with the IFA tech show in Berlin around a month away, it’s highly likely the Chinese Honor Note 10 is the shape of international things to come. Honor talked about the Note 10 for several weeks ahead of its official announcement, and Honor’s George Zhao said the phone is the result of two years’ work. The design is interesting, as it combines established Honor style — the flat rear panel and eye-like camera lenses — with Huawei’s latest look, where it’s designed to be looked at horizontally from the back, which it introduced on the P20 Pro. The screen is a massive 6.95-inches and has minimal bezels down the sides, small chin and top sections, and no notch. The AMOLED screen’s resolution is a modest 2220 x 1080 pixels, but it does support HDR10 ready to watch compatible video content. The body is made of glass, and is very reflective in the promotional images, while the chassis is aluminum. This is an enormous phone, measuring 85mm wide and 177mm long, and weighing 230 grams. For comparison, the Galaxy Note 8 is 162mm long and 75mm wide, and 195 grams in weight. While it borders on being a small tablet rather than a large phone, the screen’s thin aspect ratio may mean it’s easy to handle. We’ll know more when we get our hands on one. It comes in either black or Honor’s stunning phantom blue color, which we love on the Honor 10. 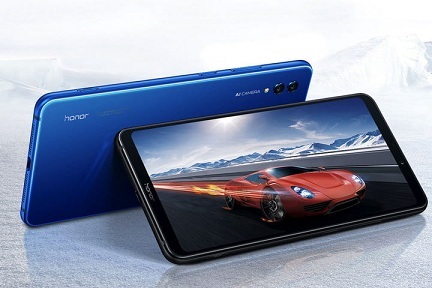 Honor teased the phone in China with a poster stating the phone will have a positively giant 5,000mAh battery, and sure enough, that’s what’s inside the Honor Note 10. Real world standby and use times are unknown at the moment, with Honor saying 30 hours talktime is possible. The battery also has fast charging; but still expect it to take a couple of hours to top-up a cell with this capacity. The poster also talked about special cooling technology to keep the device operating normally, which is carried out by a liquid cooled pipe, and eight layers of heat dissipation inside the phone. This is all coupled to the Kirin 970 processor, also seen in the Honor 10 and the Huawei P20 Pro, with either 6GB or 8GB of RAM. A choice of 64GB or 128GB of internal storage space will be available. 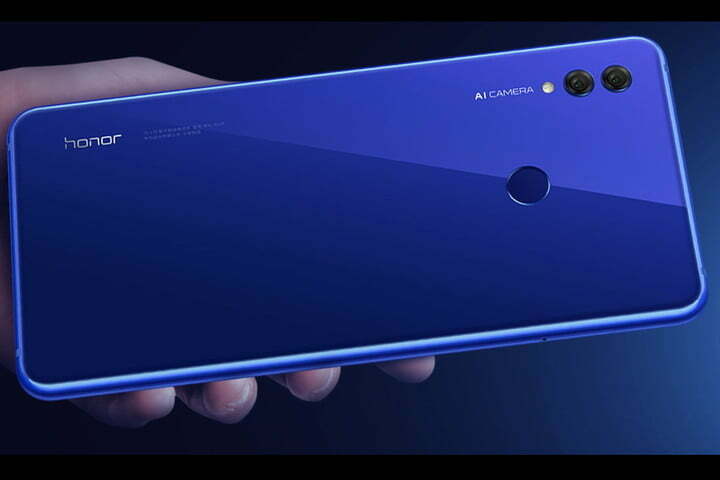 A dual-lens camera with 24 megapixels and 16 megapixels is on the back, and both have an f/1.8 aperture, with a 13-megapixel, f/2.0 aperture camera on the front, while Huawei’s Kirin 970 chip will provide the power. Scene recognition and other artificial intelligence-enhanced features seen on other Kirin 970 phones are also inside the Honor Note 10. Honor’s GPU Turbo mode, which enhanced mobile games by giving the processor a boost, is included in the EMUI 8.2 user interface, over the top of Google Android 8.1. It’s joined by another new enhancement called CPU Turbo, which work together as Double Turbo. It’s not clear what this means yet, or how it further changes the phone’s performance; but we do know there is a physical button to activate Double Turbo on the Honor Note 10. Currently only available for pre-order in China, the phone will be released at the end of August. It costs between $410 and $530 after converting over the local prices, and depending on the specification. We are expecting the phone to be announced for international sale at the IFA tech show, where Honor has scheduled a press conference for August 30. The name may change though, and international pricing will differ too. Prior to the Honor Note 10’s announcement, rumors spread that Honor may have struck a deal with none other than luxury car brand Rolls-Royce to release a specially branded version of the Honor Note 10. A leaked picture showed a silver phone with a mirrored finish, and the Rolls-Royce logo in line with the fingerprint sensor and the dual camera lenses. Rolls-Royce is very protective of its brand, and we we’re quite surprised to see its name on the back of any phone, let alone Honor, which is usually marketed with images of skateboarders, BMX cyclists, and, “the brave.” The Rolls Royce phone, should it exist, was not revealed at the Honor 10 Note’s launch in China. It may still arrive at a later date, or turn out to be nothing more than speculation.